If a car’s battery is more than three years old, it’s a good idea to have it tested by a trained technician to determine how much longer it will last. This test can be performed at any AAA Approved Auto Repair facility, AAA Car Care Center, or AAA members can request a AAA Mobile Battery Service technician come to them and test their battery free of charge. Should the battery need replacement, the technician can usually replace it on location. For more information on the AAA Mobile Battery Service visit AAA.com/Battery. Automobile engines work extra hard in the summer. It is the cooling system’s job to protect the engine from overheating. In addition, additives in the coolant protect the radiator and internal engine components against wear and corrosion. Without proper cooling system maintenance the odds of long term engine damage, and a summer time boil over, definitely increase. Rubber cooling system components also are susceptible to deterioration caused by extreme heat. Inspect hoses and drive belts for cracking, soft spots or other signs of poor condition. Worn parts are more susceptible to failure in hot conditions and should be replaced. Engine fluids are essential to keeping a vehicle running smoothly. Most fluids not only lubricate, they also serve as coolants by helping carry heat away from critical components. When fluid levels are low, this cooling effect is reduced, and the possibility of overheating increases. Drivers should check all vehicle fluids including motor oil, transmission fluid, power steering fluid, and brake fluid to ensure they are filled to the appropriate levels. If any fluids need to be topped off, be sure to use the type of fluid specified in the owner’s manual. Even with proper preventive maintenance, summer breakdowns can still occur, so AAA recommends every driver have a well-stocked emergency kit in their vehicle. The kit should include water, non-perishable food items, jumper cables, a flashlight with extra batteries, road flares or an emergency beacon, basic hand tools, and a first aid kit. 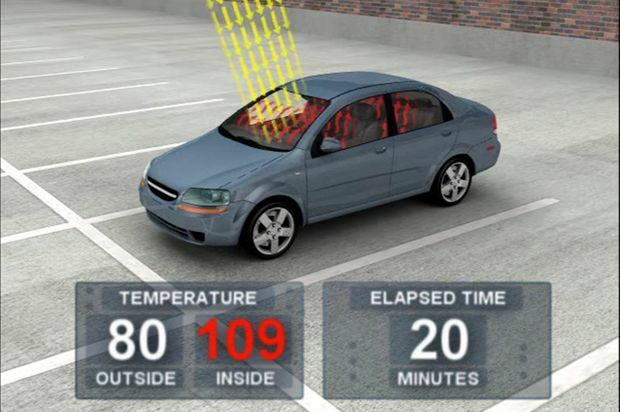 Many of the maintenance tasks to prepare a car for extreme summer heat are relatively simple. These tasks can be performed by the average driver; but some are best left to a trained automotive technician. As a public service, AAA Tidewater Virginia offers a free “AAA Trip Check” where the vehicle basic systems are examined before a road trip. For more information or to set up an appointment, motorists can call 757-963-1222 or online at AAA.com. AAA also assists motorists seeking other qualified auto repair facilities that they can trust to work on their vehicle. AAA Approved Auto Repair facilities must meet stringent professional standards and maintain an ongoing customer satisfaction rating of 90 percent or better. To locate a nearby AAA approved repair shop visit AAA.com/Repair.